Also known as flame of the forest or New Guinea creeper, red jade vine (Mucuna bennettii) is a spectacular climber that produces incredibly beautiful clusters of dangling, bright, orange-red blooms. In spite of its size and exotic appearance, red jade vine plants aren’t difficult to grow. Want to learn how to grow this tropical beauty in your own garden? Keep reading! 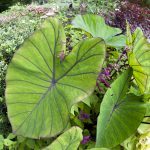 This tropical plant is suitable for growing in USDA plant hardiness zones 10 and above. Warmth is critical and red jade vine plants are likely to turn yellow and drop leaves if temperatures drop below 55 F. (13 C.). 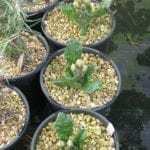 It’s easy to understand why the plant is often grown in greenhouses in cooler climates. Red jade vine plants require moist, rich, well-drained soil. Although partial shade is preferred, red jade vine plants are happiest when their roots are in full shade. This is easily accomplished by a layer of mulch around the base of the plant. Provide plenty of growing space, as this rambunctious vine can reach lengths of up to 100 feet. Plant the vine where it has an arbor, pergola, tree or something sturdy to climb. It’s possible to grow the vine in a container, but look for the largest pot you can find. Water as needed to keep the plant moist, but never waterlogged, as the plant is prone to root rot in soggy soil. As a general rule of thumb, it’s best to water when the soil feels slightly dry but never parched. Feed outdoor plants a high phosphorus fertilizer in early spring to promote blooming throughout summer and fall. Fertilize container plants twice a month during the growing season. Use a fertilizer for blooming plants or apply a regular, water-soluble fertilizer mixed at a rate of ½ teaspoon per gallon of water. Prune red jade vine plants lightly after blooming. Be careful of hard pruning that may delay flowering, as the plant blooms on both old and new growth. Replenish mulch as needed to keep the roots cool. Read more articles about Red Jade Vine.